"Mehr Licht! "-box set containing the "Licht! "-album in a digipak with a 8-paged booklet, a bonus CD called "Lichtweihe" in a with sticker sealed cardboard slipcase, a spica with a hook and a LDH-metal pin. 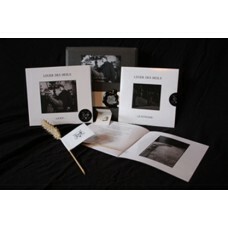 The box set is limited and handnumbered to 200 copies.